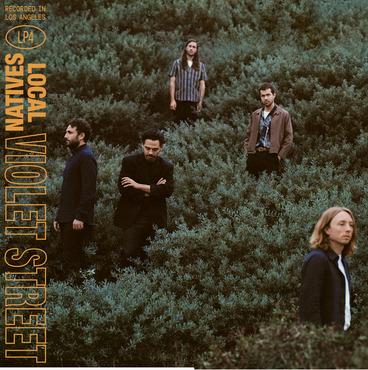 Face-to-face songwriting and musical interplay put to tape: the classic studio setting is juxtaposed on Local Natives’ fourth full-length, Violet Street with modern production and visuals to form a timeless album. The band’s signature soaring 3-part harmonies are augmented by loops of tape, physically spliced and transformed by hand, the result of experimenting in the studio with producer Shawn Everett [Alabama Shakes, Kacey Musgraves, The War On Drugs] is a band renewed. The music evokes an expansive scope introduced by the lush guitars, iridescent harmonies, and paranoiac pop vocals of the single When Am I Gonna Lose You. Named after the Downtown address where Shawn operates his studio, the album encapsulates the spirit of the city in all of its widescreen splendor for the quintet.